This is our view out of our back window at Singletree National Forest Campground in Dixie National forest. 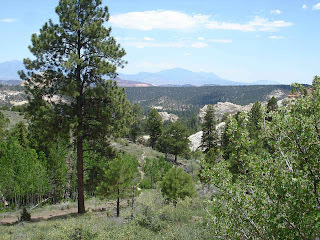 Up over the mountains, this was a wonderful campground with large separated sites. It has fresh water and a dump station. All for $5 per night with the Senior Pass. 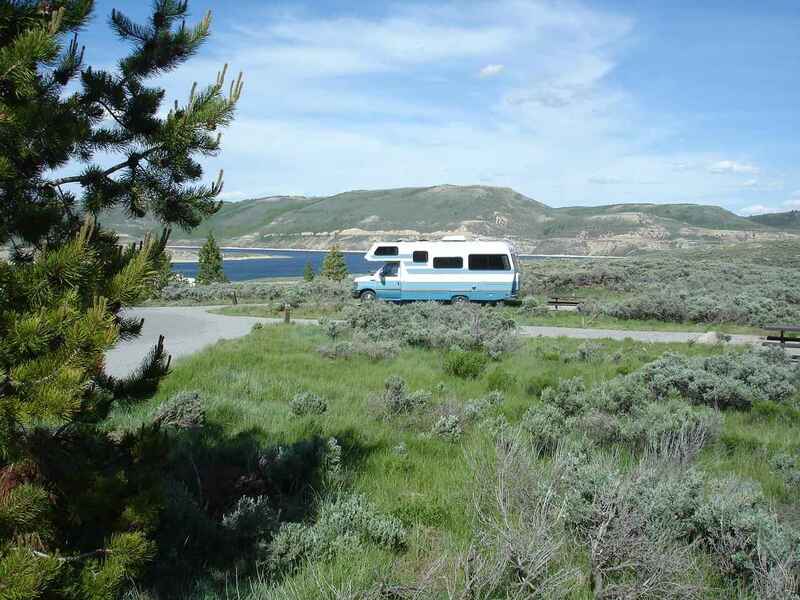 The campground is on Scenic Route 12. From desert to 9100 feet elevation with aspen and fir trees with elevation about 8000 feet. 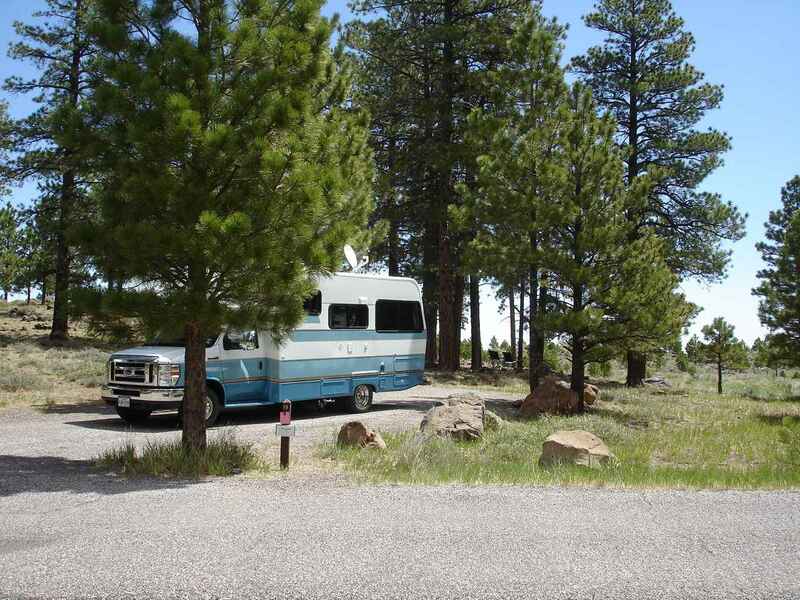 We mention these campgrounds because we have found them to be wonderful stops. They are more difficult to research but they can be found in campground reviews and the Fred and Suzi Dow site. 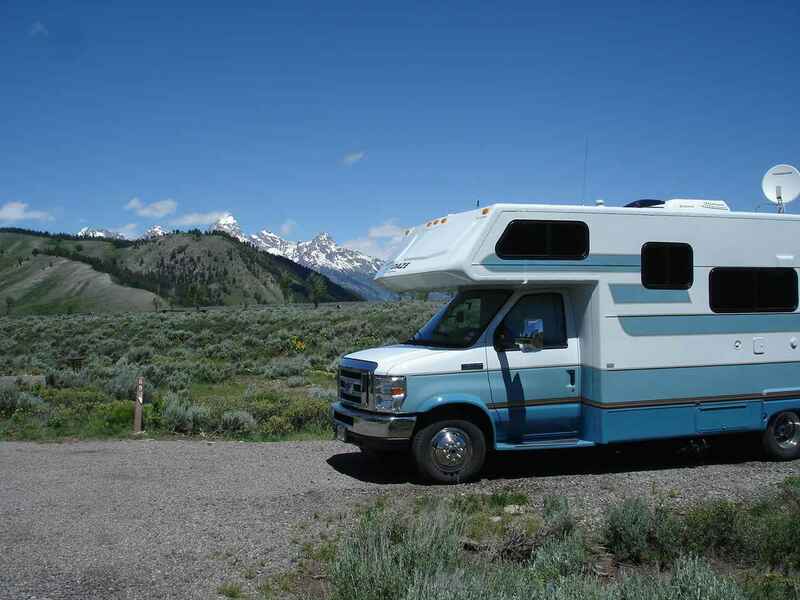 We find that most of the campers we see are smaller trailers, and small motorhomes like Lady Blue, and tenters, and truck campers. The roads can be narrow and corners sharp. Like here, there might be no hookups on the site. But the views and the experience are priceless. This is the view downhill for our hike. We had to remember that going down meant just as steep climbing up. 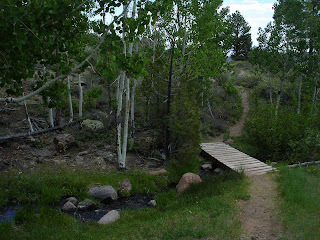 Amongst the aspens, a nice bridge to ford the Singletree stream. 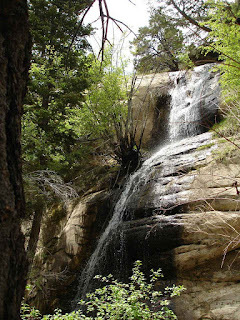 And the reward was the Singletree Falls. A small falls , but a wonderful cool, spot to rest for awhile. Our stay here was for 2 nights , June 4 and 5 in the Dixie National Forest. 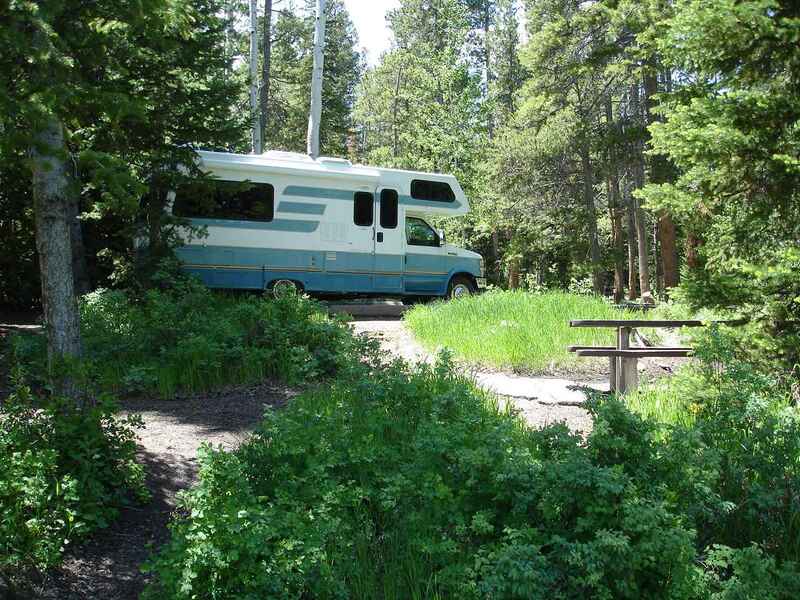 The next National Forest stop was Soldier Creek Campground in Heber City, Utah. It was such a change after a long ride through desert-like land out of Green River. 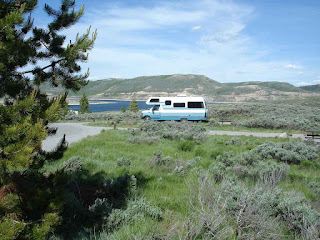 This was in the Uinta National Forest on Strawberry Reservoir. We stayed here 3 nights for $9 per night with the Old Geezers Pass. The campground was quite busy on the weekend with many fishermen. 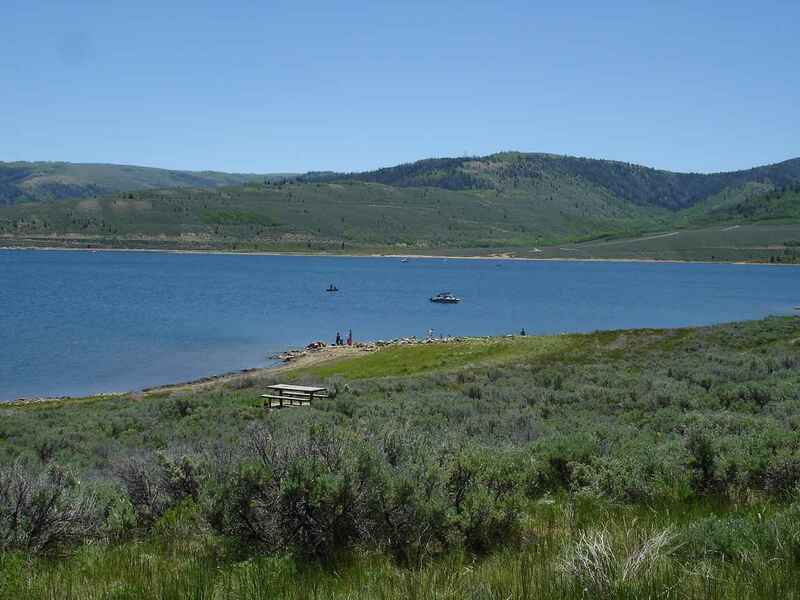 The reservoir was huge and stocked with rainbow trout. 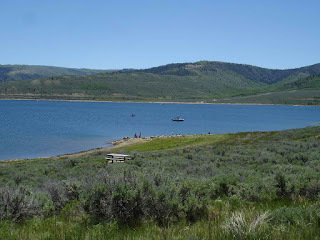 This reservoir was very close to Salt lake City. The town of Logan, Utah was quite impressive. It had the feel of a well maintained college town. The focus seems to be around Brigham Young College(not university). The tabernacle is a focus of the views in the town of about 50,000. 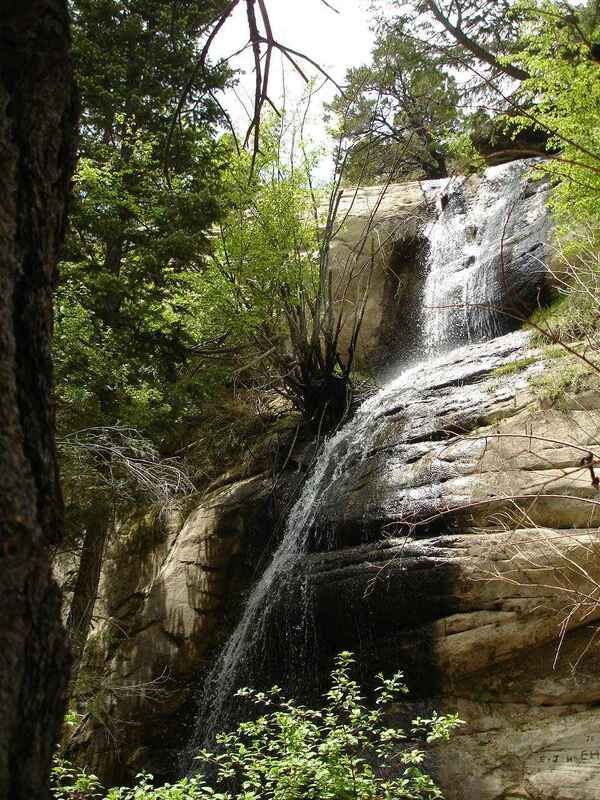 From Logan , we travel up Route 89, The Logan Canyon Scenic Byway. 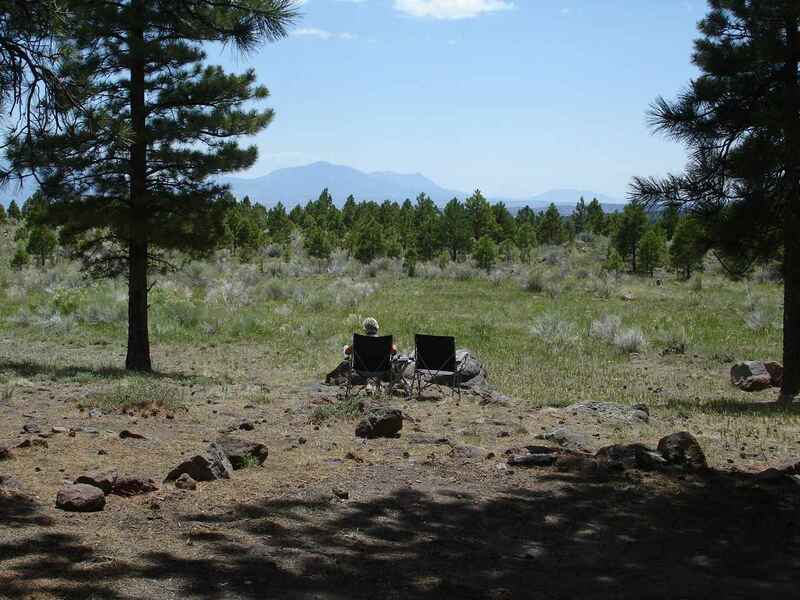 That brings us to a number of choices for National Forest Campground in the Cache National Forest...Our choice was Preston Valley Campground. Very small, only 8 sites. 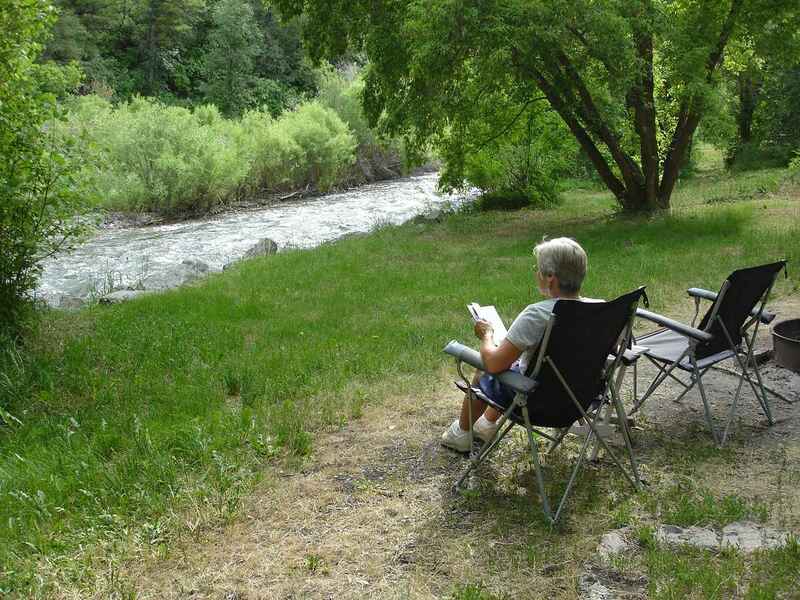 But, as you can see Jan is sitting right next to the very active river. 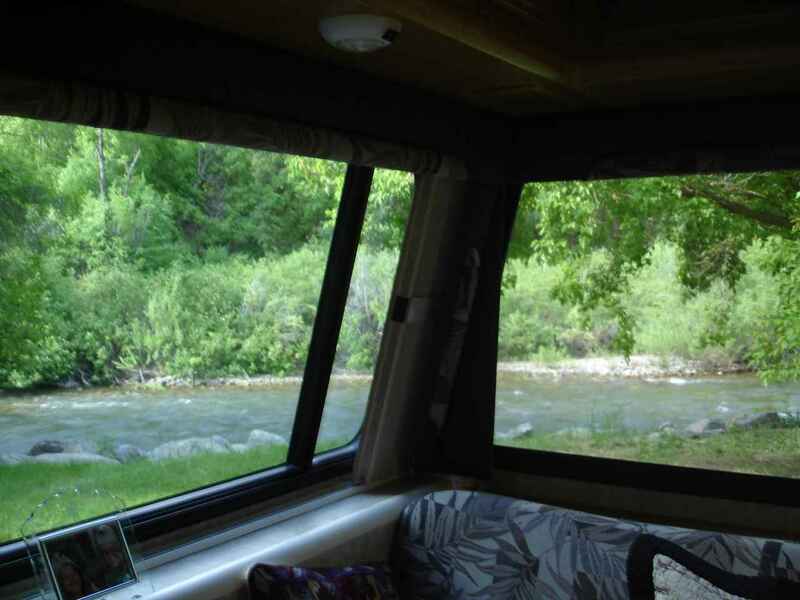 It wasn't just a great view, but also a wonderful sound to camp right next to the river. 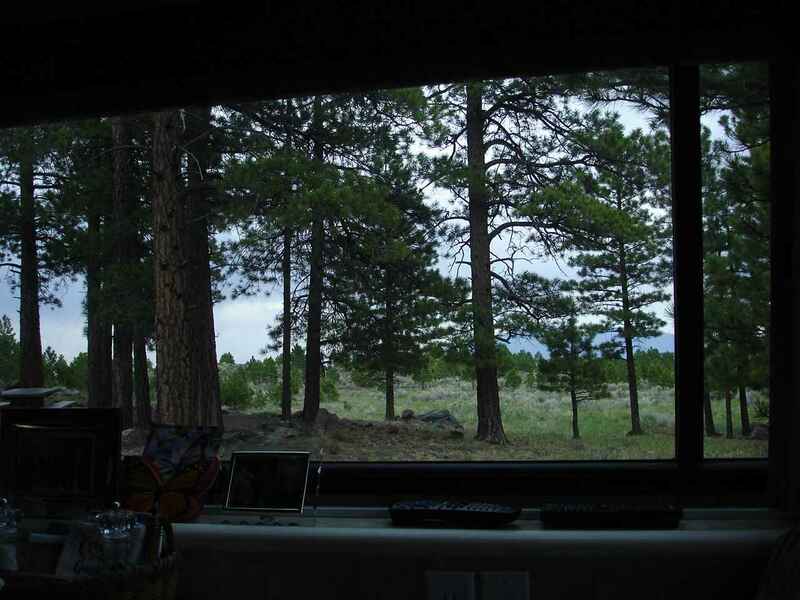 The view out our window again---priceless. 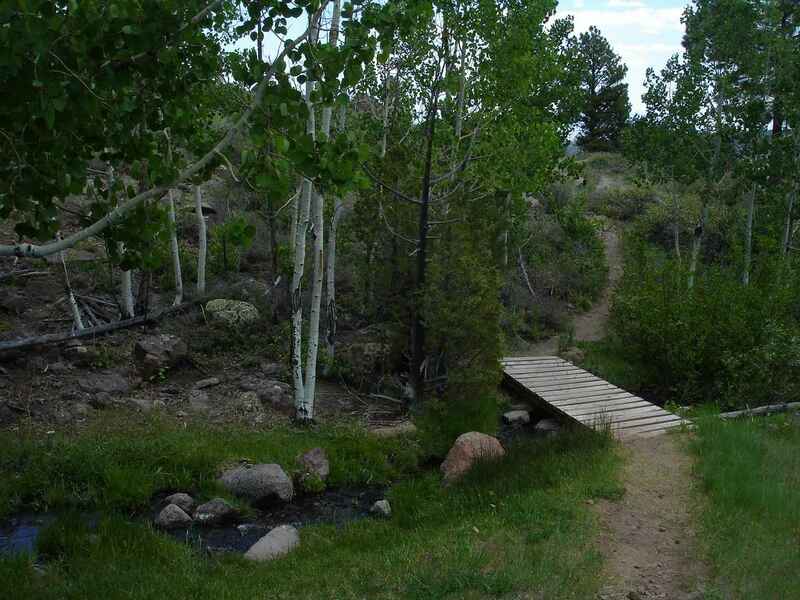 The next stop is Sunrise National Forest Campground. Still on Route 89. 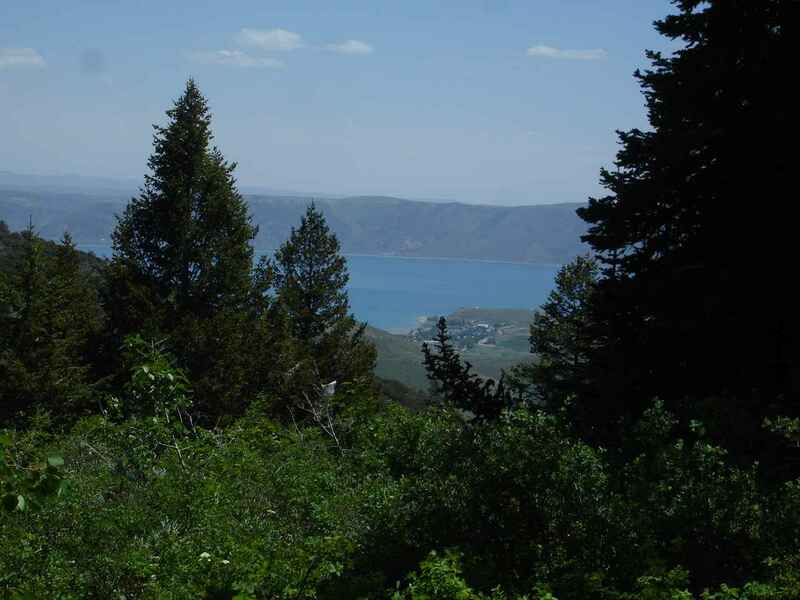 At 7600 feet, our view is down to Bear Lake. 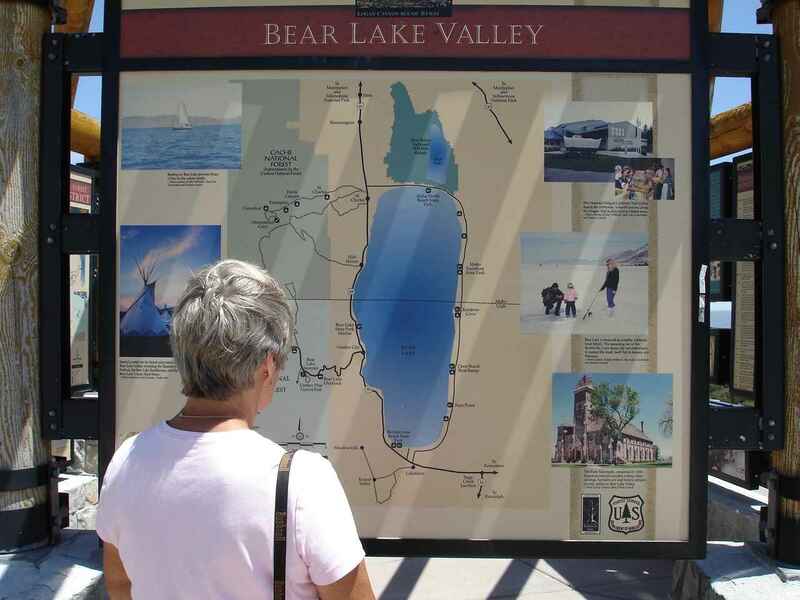 Bear Lake is 20 miles long, 8 miles wide with a maximum depth of 208 feet. It is half in Utah and half in Idaho. The above picture was from our site. The driveway was just long enough for our 24 foot. The Sunrise campground is on Route 89, lower left of the picture. We then headed to Bear Lake State Park--down at the very south of the lake. 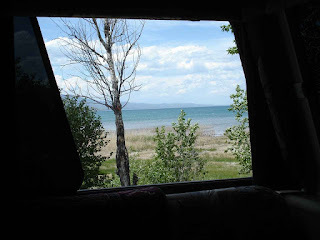 Then , we headed up the east side of the lake to rejoin Route 89 heading up to Grand Tetons in Wyoming. This was our view at Rendezvous Beach in Bear Lake State Park. While we enjoyed our 1 night stay, we found that we would prefer the primitive sites at the Idaho State Park on the eastern shore. 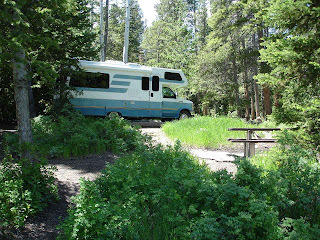 And then----------this is our site at Gros Ventre campground in Grand Teton National park. We arrived on Thursday, June 13. Departure--not sure. What a great spot. 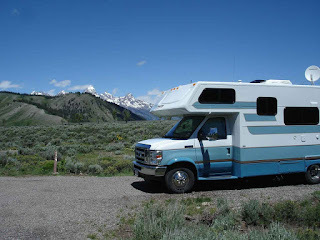 Some Lazy Daze friends, John & Linda Leach, will be at the Gros Ventre campground either today or tomorrow. Two really nice people. Look for a green 27' LD.